The Yoga Pantry is not just about asana classes, we believe in a completely integrated approach to living the yogic lifestyle. Therefore you will find yoga classes that suit all types of people and personalities, classes for the elderly and less able bodied persons, classes that challenge, classes to rejuvenate, classes to calm and relax, classes for kids, weekend workshops, meditation classes, and much much more. We are always evolving and learning, so things will change and grow as we do. If there's something you'd like to see at the Pantry, drop us a line and we'll see if we can make it happen. There's always something great in "The Pantry." Download this free e-book to unlock the keys to a more abundant prosperous mindset. 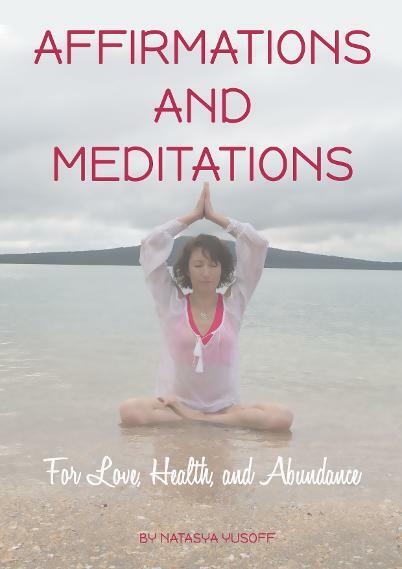 Over 40 different affirmations to boost your confidence, health, wealth, and relationships. Easy to use exercises to overcome doubt and limiting beliefs.